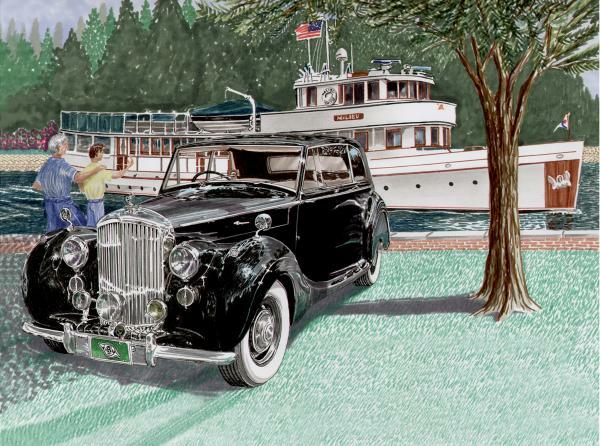 There are no comments for Bentley Waving To Malibu. Click here to post the first comment. 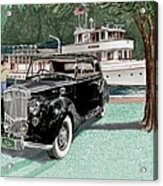 original watercolor of 1936 Bently parked at the Seattle ship canal with father & son waving to yacht by Jack Pumphrey, beautifully framed in conservation shadowbox frame, Framed art of Classic yachts and cars. 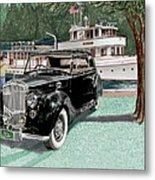 Framed prints of Classic cars and yachts. Art of nautical activities. 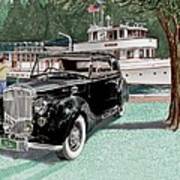 We would go down to the Ship Canal every Saturday and watch the classic yachts cruise by on their way to the locks and Puget Sound.